It's me, Joyce! Glad you followed my Shimmerz Siren to bring you here today to share a little book I’ve been working on. 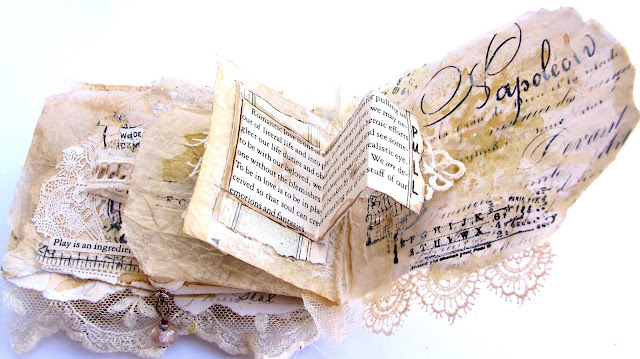 It’s a small book about three and one-half inch by five inches when closed. Because it’s small ,it’s calling out for more details which means I may be working on this little project for some time. In the meantime, I wanted to share my progress with you. 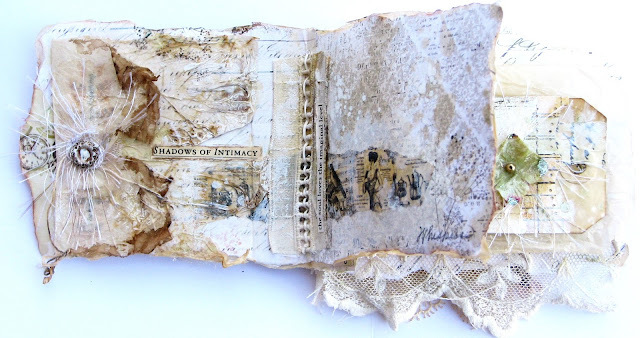 I’m a student of Laly Mille’s and am currently enrolled in her Little Whisper book course, and this is my interpretation of the course. The fabrics, laces, papers and textures are neutral colors, and I added some lovely soft hues of Shimmerz Paints Bamboo Leaf Spritz, Penny 4 Your Thoughts Inklingz, and Coral Reef Inklingz. 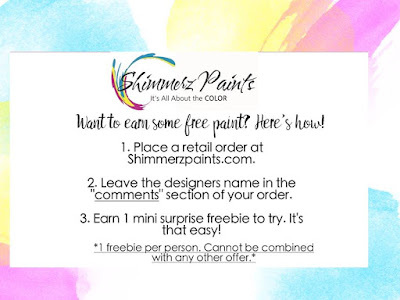 If you would like to make something similar, I strongly recommend you have some of these Shimmerz neutral products in your art arsenal. On the page below, I put a few drops of water in the little pot of Penny 4 Your Thoughts and let it sit a few minutes to thicken. Then I added some to coffee, stirred the mixture up and dipped fiber papers, glassine bags and fabrics in the mixture to age them. You can’t really see it in the photos but some of the edges of the journaling and fiber papers have a lovely soft shimmer on them from Penny 4 Your Thoughts. I love that! I also added Penny 4 Your Thoughts to the button which then revealed the pattern on the button. 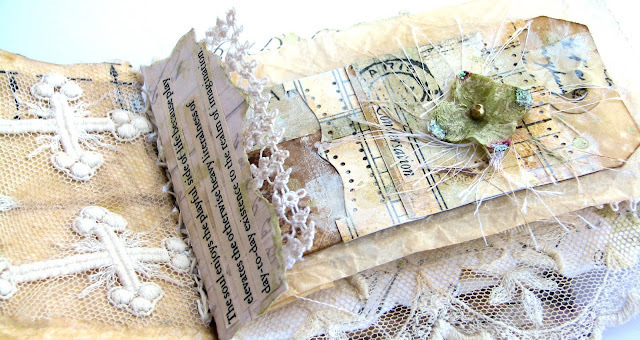 More texture…who doesn’t love that! Coral Reef Inklingz was applied over the glassine bag in the photo below to add a subtle color to match the shell and bead charm I made. 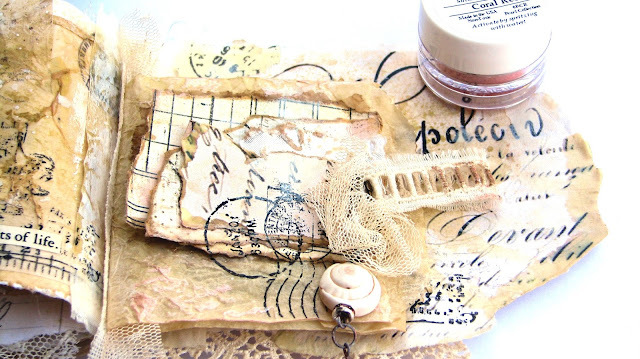 Under each of the layered pieces of paper are hidden journaling with more dabs of Coral Ree. The glassine bag was also treated with the Penny 4 Your Thoughts and coffee mixture, then crumbled up to let dry naturally. I like the aged look it reveals. 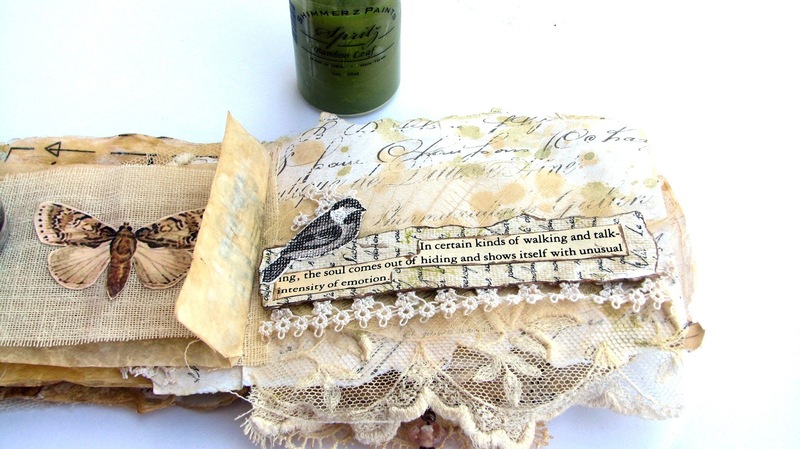 Here's one of my fav pages using Bamboo Leaf Spritz over the layered papers and a few droplets too. 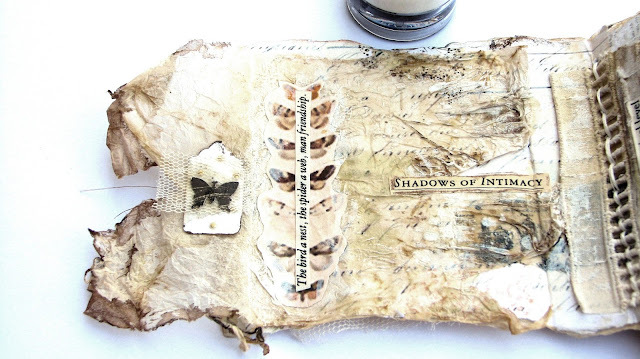 The original tag was white and I covered it with the Penny 4 Your Thoughts and coffee mixture, then added layered papers, and some stamp work too. 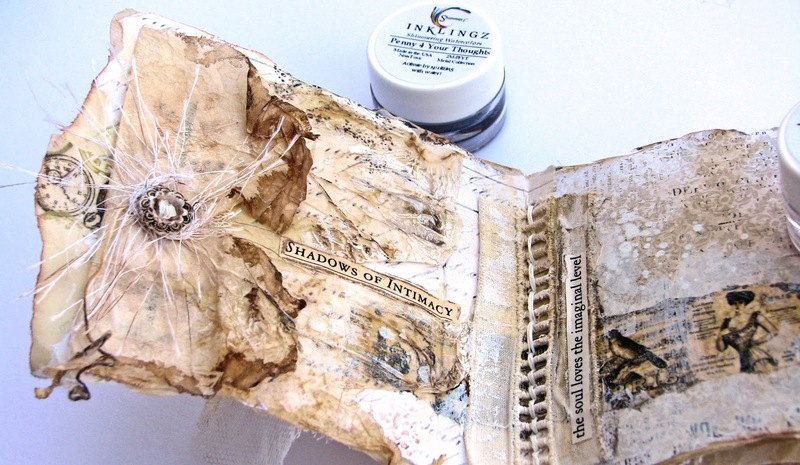 I used an old make up sponge and applied the Bamboo Leaf Spritz to the edges of the journal page that contains some lacy bits. Inside the glassine bag are more hidden tags. 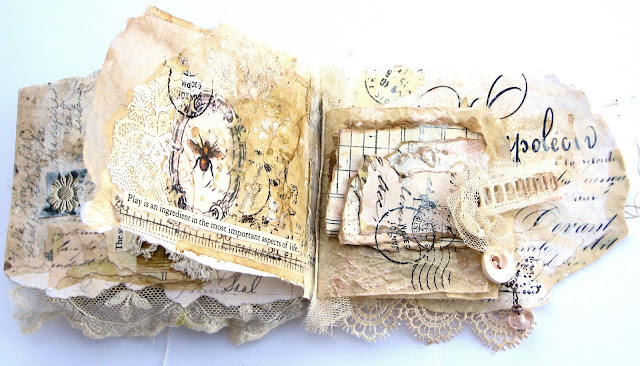 Another folio page to share with you below. 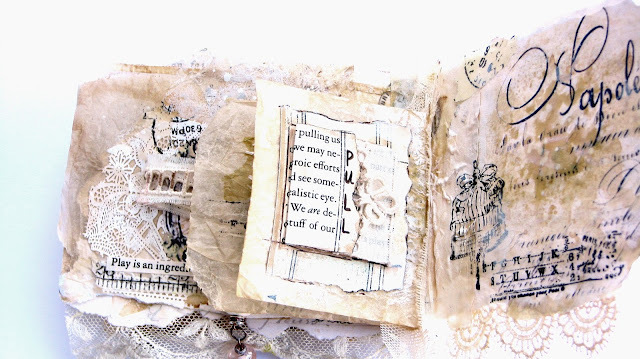 Notice the little "pull" lacy piece? 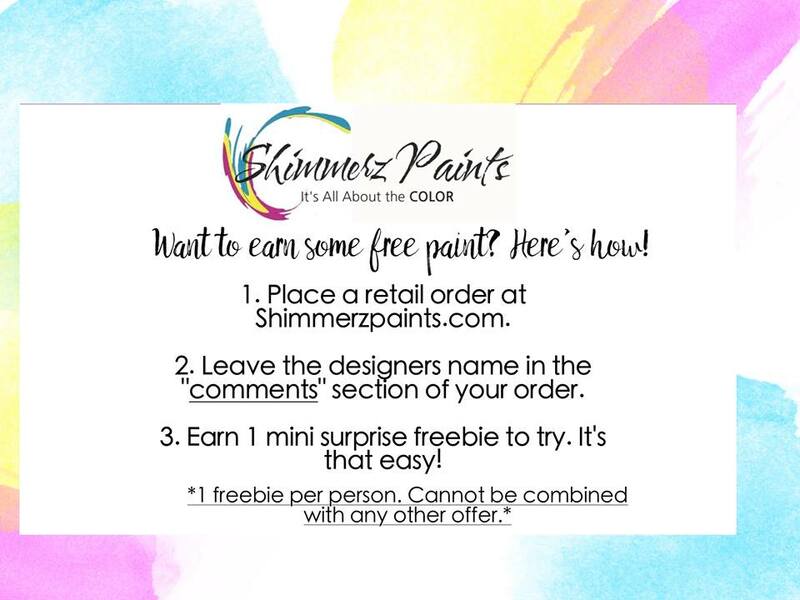 I hope I have inspired you to use your Shimmerz Paints too! I derived so much joy in making this little book, some journaling made me cry, some made me laugh, and it all touched my soul. As I work through the details on other pages, I will share them with you in the future. Thanks for letting me share this project with you. 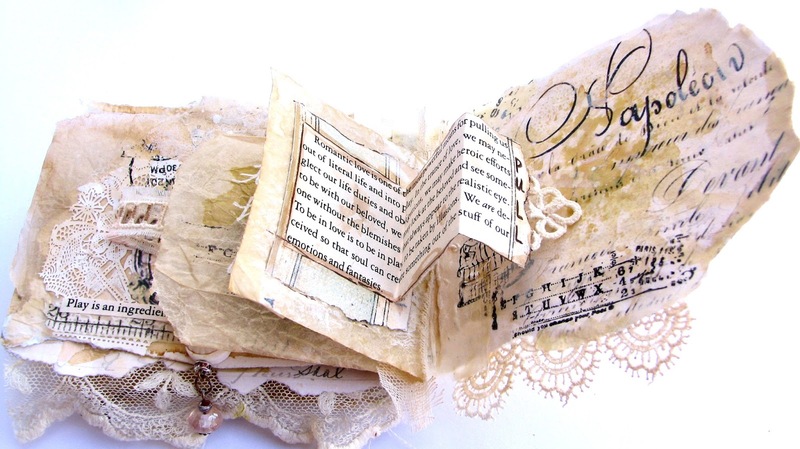 Stunning little book Joyce, very inspiring, I love making little books and this has given me some great ideas! this is stunning, and so detailed a true work of art. So stunning! A very inspirational work of art.